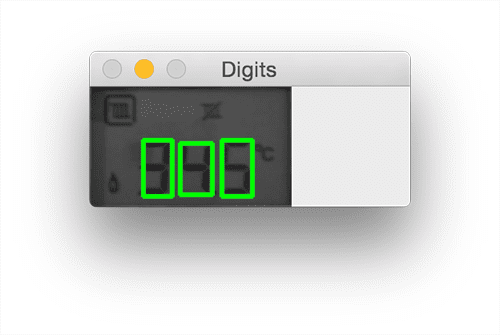 Today’s tutorial is inspired by a post I saw a few weeks back on /r/computervision asking how to recognize digits in an image containing a thermostat identical to the one at the top of this post. 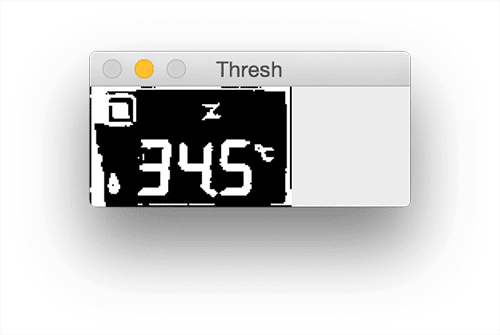 As Reddit users were quick to point out, utilizing computer vision to recognize digits on a thermostat tends to overcomplicate the problem — a simple data logging thermometer would give much more reliable results with a fraction of the effort. On the other hand, applying computer vision to projects such as these are really good practice. Whether you are just getting started with computer vision/OpenCV, or you’re already writing computer vision code on a daily basis, taking the time to hone your skills on mini-projects are paramount to mastering your trade — in fact, I find it so important that I do exercises like this one twice a month. Every other Friday afternoon I block off two hours on my calendar and practice my basic image processing and computer vision skills on computer vision/OpenCV questions I’ve found on Reddit or StackOverflow. Doing this exercise helps me keep my skills sharp — it also has the added benefit of making great blog post content. In the remainder of today’s blog post, I’ll demonstrate how to recognize digits in images using OpenCV and Python. From there I’ll provide actual Python and OpenCV code that can be used to recognize these digits in images. You’re likely already familiar with a seven-segment display, even if you don’t recognize the particular term. 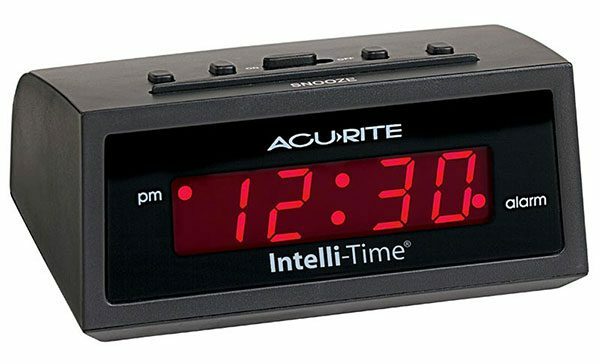 Figure 1: A classic digital alarm clock that contains four seven-segment displays to represent the time of day. Figure 2: An example of a single seven-segment display. Each segment can be turned “on” or “off” to represent a particular digit (source: Wikipedia). Figure 3: A seven-segment display is capable of 128 possible states (source: Wikipedia). Figure 4: For the task of digit recognition we only need to recognize ten of these states. Our goal is to write OpenCV and Python code to recognize each of these ten digit states in an image. Figure 5: Our example input image. 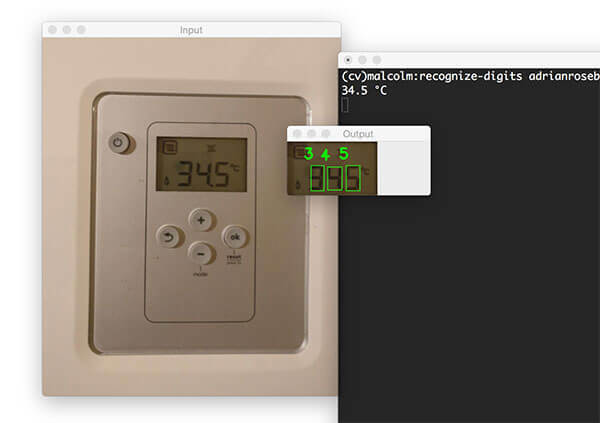 Our goal is to recognize the digits on the thermostat using OpenCV and Python. Step #1: Localize the LCD on the thermostat. 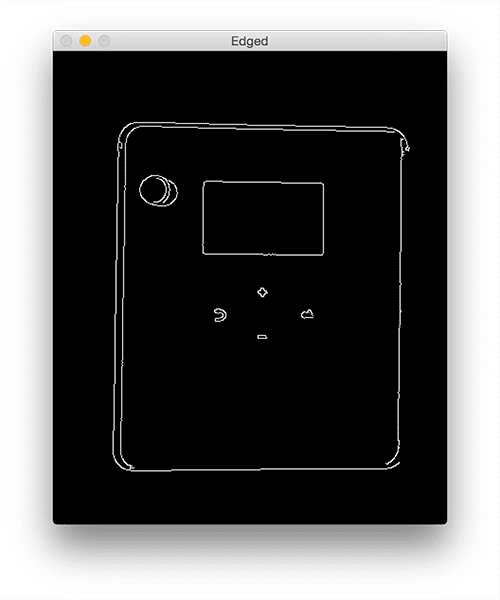 This can be done using edge detection since there is enough contrast between the plastic shell and the LCD. Step #2: Extract the LCD. Given an input edge map I can find contours and look for outlines with a rectangular shape — the largest rectangular region should correspond to the LCD. A perspective transform will give me a nice extraction of the LCD. Step #3: Extract the digit regions. Once I have the LCD itself I can focus on extracting the digits. Since there seems to be contrast between the digit regions and the background of the LCD I’m confident that thresholding and morphological operations can accomplish this. Step #4: Identify the digits. Recognizing the actual digits with OpenCV will involve dividing the digit ROI into seven segments. From there I can apply pixel counting on the thresholded image to determine if a given segment is “on” or “off”. So see how we can accomplish this four-step process to digit recognition with OpenCV and Python, keep reading. Let’s go ahead and get this example started. 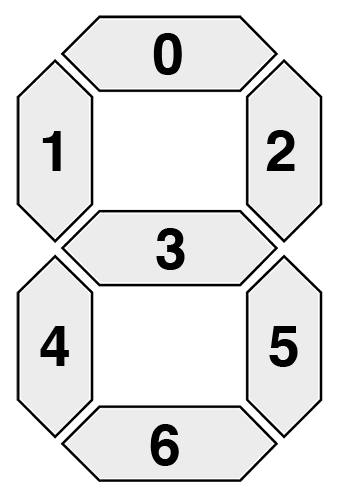 They key to the table is the seven-segment array. A one in the array indicates that the given segment is on and a zero indicates that the segment is off. The value is the actual numerical digit itself: 0-9. Once we identify the segments in the thermostat display we can pass the array into our DIGITS_LOOKUP table and obtain the digit value. For reference, this dictionary uses the same segment ordering as in Figure 2 above. Line 23 loads our image from disk. Converting the image to grayscale. Applying Gaussian blurring with a 5×5 kernel to reduce high-frequency noise. Computing the edge map via the Canny edge detector. Figure 6: Applying image processing steps to compute the edge map of our input image. Notice how the outlines of the LCD are clearly visible — this accomplishes Step #1. In order to find the LCD regions, we need to extract the contours (i.e., outlines) of the regions in the edge map (Lines 34-36). We then sort the contours by their area, ensuring that contours with a larger area are placed at the front of the list (Line 37). Given our sorted contours list, we loop over them individually on Line 41 and apply contour approximation. If our approximated contour has four vertices then we assume we have found the thermostat display (Lines 48-50). This is a reasonable assumption since the largest rectangular region in our input image should be the LCD itself. Figure 7: Applying a perspective transform to our image to obtain the LCD region. Figure 8: Thresholding LCD allows us to segment the dark regions (digits/symbols) from the lighter background (the LCD display itself). Figure 9: Applying a series of morphological operations cleans up our thresholded LCD and will allow us to segment out each of the digits. To accomplish this we find contours in our thresholded image (Lines 66 and 67). We also initialize the digitsCnts list on Line 69 — this list will store the contours of the digits themselves. Line 72 starts looping over each of the contours. For each contour, we compute the bounding box (Line 74), ensure the width and height are of an acceptable size, and if so, update the digitsCnts list (Lines 77 and 78). Note: Determining the appropriate width and height constraints requires a few rounds of trial and error. I would suggest looping over each of the contours, drawing them individually, and inspecting their dimensions. Doing this process ensures you can find commonalities across digit contour properties. Figure 10: Drawing the bounding box of each of the digits on the LCD. Sure enough, we have found the digits on the LCD! Here we are simply sorting our digit contours from left-to-right based on their (x, y)-coordinates. This sorting step is necessary as there are no guarantees that the contours are already sorted from left-to-right (the same direction in which we would read the digits). We start looping over each of the digit contours on Line 87. For each of these regions, we compute the bounding box and extract the digit ROI (Lines 89 and 90). Figure 11: Extracting each individual digit ROI by computing the bounding box and applying NumPy array slicing. Given the digit ROI we now need to localize and extract the seven segments of the digit display. Lines 94-96 compute the approximate width and height of each segment based on the ROI dimensions. We then define a list of (x, y)-coordinates that correspond to the seven segments on Lines 99-107. This list follows the same order of segments as Figure 2 above. Figure 12: An example of drawing the segment ROI for each of the seven segments of the digit. Finally, Line 108 initializes our on list — a value of one inside this list indicates that a given segment is turned “on” while a value of zero indicates the segment is “off”. # 50% of the area, mark the segment as "on"
We start looping over the (x, y)-coordinates of each segment on Line 111. We extract the segment ROI on Line 115, followed by computing the number of non-zero pixels on Line 116 (i.e., the number of pixels in the segment that are “on”). If the ratio of non-zero pixels to the total area of the segment is greater than 50% then we can assume the segment is “on” and update our on list accordingly (Lines 121 and 122). After looping over the seven segments we can pass the on list to DIGITS_LOOKUP to obtain the digit itself. We then draw a bounding box around the digit and display the digit on the output image. Figure 13: Correctly recognizing digits in images with OpenCV and Python. In today’s blog post I demonstrated how to utilize OpenCV and Python to recognize digits in images. This approach is specifically intended for seven-segment displays (i.e., the digit displays you would typically see on a digital alarm clock). By extracting each of the seven segments and applying basic thresholding and morphological operations we can determine which segments are “on” and which are “off”. From there, we can look up the on/off segments in a Python dictionary data structure to quickly determine the actual digit — no machine learning required! 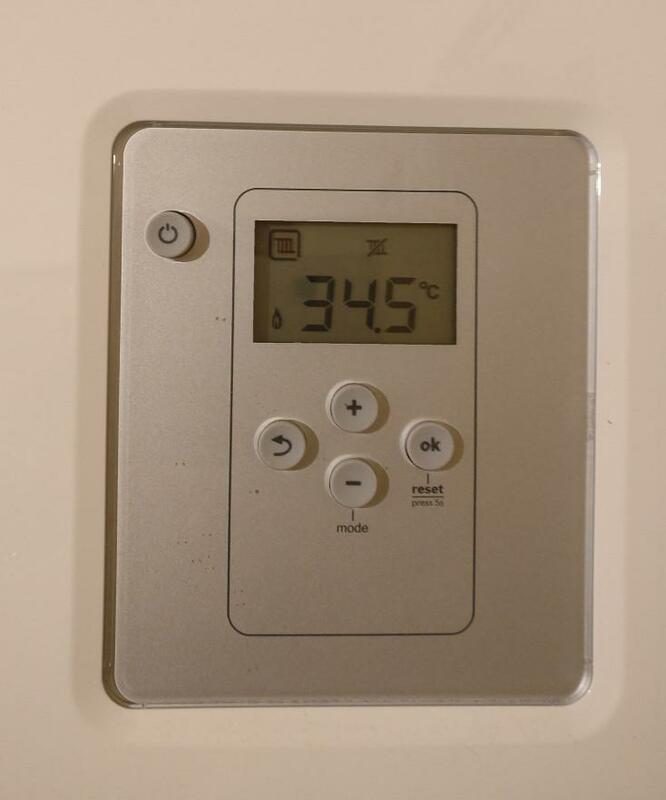 As I mentioned at the top of this blog post, applying computer vision to recognizing digits in a thermostat image tends to overcomplicate the problem itself — utilizing a data logging thermometer would be more reliable and require substantially less effort. 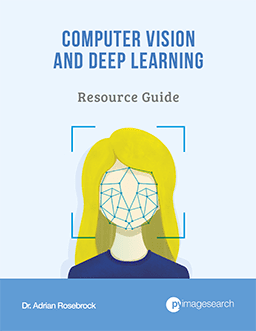 However, in the case that (1) you do not have access to a data logging sensor or (2) you simply want to hone and practice your computer vision/OpenCV skills, it’s often helpful to see a solution such as this one demonstrating how to solve the project. To be notified when future blog posts are published, be sure to enter your email address in the form below! Do you have the similar implementation in C++ ? Hi James-Hung — I only cover Python implementations on this blog. I think it is quite easy to convert it to modern c++ implementation. One of the best things of learning c++ is, after you get familiar with it, you will find out you can pick up lot of languages in short time, especially a language with nice syntax and libs like python. Thanks for the tutorial, this is a nice solution, especially step 4, I believe I would use machine learning(trained by mnist or other datasets) to recognize the digits rather than this creative, simple solution. Sorry, I think I did not express my though clearly, what I mean was I do not know there are such creative solution before I study this post, so I would prefer machine learning as character recognition, although ml may be a more robust solutions, it also takes more times and much expensive than this solution. Using machine learning to solve this problem is 100% acceptable; however, there are times when a clever use of image processing can achieve just as high accuracy with less effort. Of course, this is a bit of a contrived example and for more robustness machine learning should absolutely be considered, especially if there are changes in reflection, lighting conditions, etc. Interesting. really liked the post. Thanks for sharing. In case the scene illumination changes, the algorithm usually breaks or becomes less accurate. Please suggest all the different computer vision techniques in practice in order to remove or minimize the effects of illumination/brightness/contrast changes of the image for the algorithm to still work correctly OR at least with high accuracy ? If you need a more robust solution you should consider using machine learning to both localize the screen followed by recognize the actual digits. A most excellent post and your timing is impeccable! I happen to have a need for just such 7-segment digit recognizer. Leaving the data logging sensor aside (where’s the fun in that) obviously this is just one way of using computer vision to recognize these digits. In your bag of goodies do you happen to have some thoughts on how one would do this WITH machine learning? I am guessing that KNN might be a good approach. Thoughts? Hey Douglas — I’m glad the post was timed well! As for doing this with machine learning, yes, it’s absolutely possible. I demonstrate how to recognize (handwritten) digits inside Practical Python and OpenCV and then discuss more advanced solutions inside the PyImageSearch Gurus course, but a good starting point would be the HOG descriptor + SVM. I have not had the chance to try HOG and SVM. Since I am under the gun, so to speak, I will try and get a comparison of the two once converted to C#. I mentioned KNN because it is a lazy learning method and might be a touch faster. I am having to do all this in real time based on 60fps, so speed is always a worry. Especially when a single frame might contain several indicators with varying numbers of digits. k-NN is faster to train (since there is no training process) but is slower at test time, depending on how large your dataset is. You can apply approximate nearest neighbors to speed it up, but in the long run I think you’ll find better accuracy with HOG + SVM. Only quantify the digit region of the image via HOG and then pass the feature vector into the SVM. Thanks. I will give that a try. As I have discovered fr0om this blog’s code, translating to C# EmguCV/OpenCV is not straightforward at all. You have numpy and imutils plus some home grown routines which I do not have in C#. One thing I thought odd is doing the exact same steps up to performing the canny edge detection gave me an image that looked different from yours. I guess I find that odd because at the bottom of the code it is all OpenCV. You would think converting to gray, Gaussian blurring and doing Canny should give me the same image. I shall look into the HOG + SVM in your book and will continue to see if I can translate this blog’s code into C#. Hi, Adrian. I read the same post on reddit a few weeks ago, so when I checked my email it was a great surprise for me. I will check your solution. Thanks for sharing! I’m glad you saw the same post as well Sinhue! 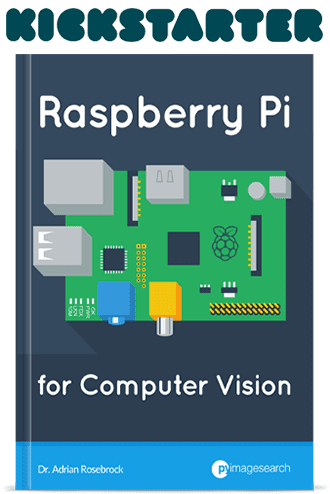 /r/computervision is a great resource for keeping up with computer vision news. Hi Manisha — make sure you use the “Downloads” section of this tutorial to download the source code + example image. It sounds like you might have copied and pasted code and accidentally introduced an error where not all digits are detected. Hey, Adrian. I’m getting the same error and I’m using the downloaded code and image. What’s going wrong here? It’s hard to say what the exact issue is without physical access to your machine. 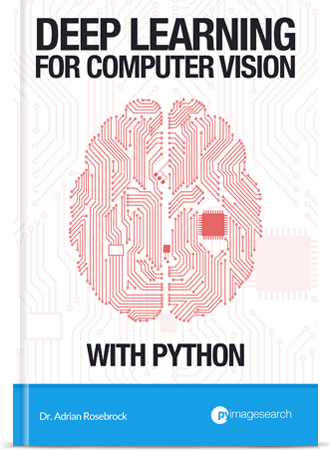 What versions of Python + OpenCV are you running? Hey Adrian, sorry for replying so late. So I just tried running the code after commenting the print line out. Now the output image detects two digits – the 3 and the 4. And among those also it detects the 3 as a 9. This is happening exactly because the tuple digits isn’t complete…failing in detect any digits causes this… check your code again, you’ve probably miss copy something. Thanks for really useful post for many application. Hi Adrian! In Figure 4 the number 1 it would be on segments 2 and 5 like in the dictionary. Thanks for sharing!! i want to used this code in your project(bubbles sheet omr), to read students numbers. sorry i mean, can i used it in bubbles sheet project to read students numbers. Can you elaborate more on “read students numbers”? The numbers on what? The bubble sheet itself? print row containt 10 “seven-segment” on the top of the paper. then the student shadded his id before he answering the questions (shadded the bubbles). If you’re doing OMR and bubble sheet recognition, why not follow the approach detailed here? Or is your goal to validate that what the user bubbles in matches what they wrote? If it’s the latter, one of the best methods to determine these digits would be to train a simple digit detector using machine learning. I demonstrate how to train your own digit detectors inside Practical Python and OpenCV. Hi Adrian, very interesting. I have a note which is beside the point of the image-recognition, but may be useful: you have the “1” as represented by two vertical segments on the left, but it may be two vertical segments on the right (take a look at the alarm clock picture on this very page). I imagine it would be simple to add a second entry to your lookup table to account for this. Cheers. Or rather: your image of the ten digits has it on the left, but the lookup table seems to have it on the right (2, 5). Either way, a second entry would help to make this work across different displays. Great point, thanks for sharing Steve! After the canny edge detection and countour analysis, we assume that the largest rectangle with four vertices is the LCD. But in fact it is the whole outline of the thermostat(I.e. the output after canny edge detection as shown) and not the LCD. I found this part confusing. Can you please explain me this. The largest rectangle with 4 vertices for me is the thermostat outline not the LCD. After contour approximation the thermostat box does not have 4 vertices. Looking at the edge map you can also see that the thermostat box does not form a rectangle — there are disconnects along its path. Therefore, it’s not a rectangle and our algorithm does not consider it. object has no attrute ‘reshape’. It sounds like you might be having problems loading your image from disk. can you make sure you are loading your image from disk properly? Hello Adrian, excellent post. Visiting your blog is always satisfying for those who work in image processing. If you are using a Python virtual environment for your code, make sure you upgrade imutils there as well. The imutils library published to PyPI is indeed the latest version, so you likely have an old version either in (1) a Python virtual environment or (2) your global system Python install and are accidentally using the older version. This blog post was built around a specific example (the thermostat image at the top of the post). It’s unlikely to work out-of-the-box with other images. You will likely need to debug the script and ensure that you can find the LCD screen followed by the digits on the screen. The same techniques you apply to a single image can be applied to a video stream as well. Remember that a video stream is just a collection of single images. to text straight something( ). Is it the namespace command , so to not need to type ( cv2. )every single time ? Can you post a code on Recognizing alphabets with OpenCV and python? This sounds like an error related to the “highgui” module of OpenCV. Re-compile and re-install OpenCV following one of my tutorials. Hey man I really like your posts. 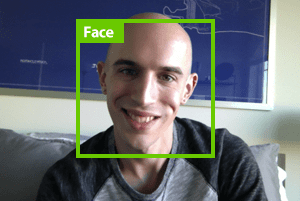 Can you do one for opencv 3 and python on face recognition (not detection)? I’m having trouble finding a workable example online. Thanks! Hi Ravenjam — I cover face recognition in detail inside the PyImageSearch Gurus course. I would suggest starting there. I get this error while trying to compile : “ImportError: No module named cv2”. Then I try to install this module using pip, it doesn’t exist. You need to follow one of my tutorials on installing OpenCV. You need to compile and install OpenCV from source. and you give code because i not dowload guide of you ? I used OpenCV 3 and Python 2.7 for this blog post. It also works with OpenCV 2.4 and Python 2.7 along with OpenCV 3 and Python 3. If you are getting an error with the code, please share it. Without the error myself and other readers cannot help you. Thanks for one more awesome tutorial. I would like to know whether this can be used for speed limit board recognition. I mean to read numbers on road side speed limit. Are you referring to the LED segment display boards? Or the actual signs? For the LED segment boards, this approach would likely work. If you want to use this approach actual signs I would train a custom object detector to first detect the sign, then extract the digits, followed by classifying them. This would be useful for reading the display of a window unit that has IR remote control but lacks a two-way control protocol for querying status. You keep saying a simple data-logging thermometer would be simpler, but that doesn’t help if what you want is not just to know the temperature of the room, but to know what a machine with only a visual display is currently reporting. Thanks for the inspiring write-up. Hi Vishal — next week we will be starting a series on Optical Character Recognition (OCR). These upcoming tutorials should help you with your project. Hi Adrian! Great tutorial! Learnt a lot of from your posts to effectively leverage openCV APIs for a given problem. Especially a fan of the pokedex project, the screen recognition and extraction part of which is integral part of my project. Many thanks! It’s humbling to see you take the time to give back to the community. Coming back to the tutorial at hand, wouldn’t the digit ‘1’ have a smaller ROI than other digits, specifically only 2 of the 7 segments, namely ‘1’ and ‘4’ would be a part of the ROI and wouldn’t be possible to check if the other segments are on or off. Sorry if it’s a noob question or if i missed something. Let me know! Thank you! Appreciate your time! Hi Suhas — it’s great to hear that you are enjoying the PyImageSearch blog, that’s great! As for your question, yes, a “1” would have a smaller ROI. In that case you would want to pre-define what the (approximate) width and height of the ROI are. Otherwise, you can extract all ROIs and then pad them until they are the same size. Hello again Adrian! Your solutions to my query are awesome! Love your approach to solving problems! Thank you for your time! So I was curious and wanted to try this OCR on my NVIDIA Jetson TX2. I am using OpenCV3.3.0 on my board as well as my PC. And both have ubuntu16.04 running. What I found surprising is that this program gives the wrong output in case of the same image you provided on Jetson while it works fine on my PC. While in my machine, it is able to detect (3, 4, 5) all correctly. Do you have any idea why is this happens? It will be great if you can suggest me some solution. Can you confirm which version of OpenCV you have installed on the Jetson? This seems like an OpenCV version discrepancy issue, likely a problem with OpenCV 2.4 and OpenCV 3. I used OpenCV 3 for this blog post, so I’m surprised that there is a different output. I’m honestly not sure what the problem is. I would compare the output threshold maps from the Jetson output to the output on your local system. Adrian, I am enjoying your blog posts. Is there anything you can suggest to debug this odd behavior? This algorithm assumes you can nicely segment the digit from the background. It then does a test on each of the 7-segments. The reason you are getting a key error is because the “on/off” test failed for one or more of the segments. Go back to the segmentation and “on/off” test — you’ll likely need to turn parameters here to make it work on your particular image. What ended up making the difference was blurring the image 3 more times so that the segments bled together. It does not see the segments as rectangles now and the warped image includes the whole digit. Thanks again for your post. Nice, congrats on resolving the issue, Matt! I am developing a number detection system for my Raspberry Pi. This guide is about a 7-segment system and the numbers I am trying to read are on an analog dial. How should I set up the code for this? Hey Aditya — do you have any example images you are working with? It’s hard to provide a suggestion without seeing an example of your analog dial. I think in DIGIT_LOOKUP mapping for 2 and 7 are wrong! I was doing a similar project. This post was a great help to me. Actually whole pyimagesearch. Great articles! Really a good site for beginners. Thanks! This is awesome! Thank you so much for sharing this. If we use machine learning for a better accuracy, how can we prepare the training dataset? As in the hand writing example, do we need to prepare a same sized digit image dataset for each number? That really depends on your particular project and what method you are using. I would need to know more details on the project. If you’re working with raw images and their pixels each image should be the same size before passing them into a model. If you’re applying feature extraction the output feature vector should be the same for all images. For what it’s worth, I have over 40+ lessons on machine learning and preparing your dataset inside the PyImageSearch Gurus course. Be sure to take a look as it will help you learn how to build your datasets for machine learning. I did! Thank you for recommending the lookup dictionary, Jonathan. Am I the only one having a probleme to detect Ones. Because the programme is creating a square around the 1 digit and thus scanning for the 8 bar in that area. This is why One is always giving me a different answer….. I mean is it working for you ? Hi, have you figured this out? I’m running into the same issue where it detects the 1 as an 8. Try taking a look at OCR algorithms. I am a Chinese student and thank you very much for sharing. Super helpful, but what is going on with line 36? And how do you know that cnts (or cnts) is the one you want to keep? so line 36 is accommodating both versions. Hi adrian, I am really impressed as usual by your blog posts and examples. I am working on a similar project, only thing is that the data that I am working with is handwritten (numbers from 0 to 9) and I was looking for a way to recognize these digits and put them in a output format maybe JSON, text. I hope that helps point you in the right direction! Nice article, iam trying to do this on android phone any suggestions? I don’t have any experience developing Android applications. There are Java + OpenCV bindings, but you’ll need to come up with your own Java implementation for Android. The other alternative would be to use a framework such as PhoneGap/Cordova or React Native and send the image (with either of those frameworks) to a server to process the image where you could easily run Python. but your algorithm will always detect 1 as 8! Thanks Adrian, great blog, quite clear and helpful. How will the approach of using OpenCV to extract images (LCD area in this case) and then detecting numbers after that using tesseract OCR library will work? Are you asking specifically on how to use Tesseract for this project? The gist is that you would want to obtain a very cleanly segmented image of the digits. From there, allow Tesseract to OCR them. I have changes input file then it is not showing the output. Now what should I do ? I’m not sure what you mean. Could you clarify? Hey Imran — make sure you using the “Downloads” section of the blog post to download the code rather than trying to copy and paste. Using the downloads will ensure there are no errors due to copying and pasting. I run the code with different image and get Key error: (0,1,1,1,1,0). I checked step 1 and found that in my image the boundary between LCD and the scale is not significant, so that means when running canny the edge of LCD is not complete. Is that the main problem? 1. Adjust the preprocessing steps by experimentation, including more/less blur, different Canny parameter values, etc. Hey adrian, i’ve change input the picture with another digit seven segment, but the output not recognize horozontal linr of seven segment, how i must to do? Can your code above be good or it is only for analog format? Would really appreciate your support! To be honest I don’t think trying to recognize digits from the Street View House dataset without machine learning is a good investment of time. Is there a particular reason you would want to do this? sins seg number 6 is on. Yeah, came to the same conclusion. Digit 2 should be off at bottom right and on at bottom. Hi Adrian, thanks for that. I’m having an issue. When I run the entire code that comes in the download section, everything works fine, but when I run step by step, I never get to the picture showed in Figure 6. Do you have any idea of what might be happening? Hi Adrian, I was trying to run the first part of the tutorial within the virtual environment but I met with a error ” Import error: No module named ‘scipy’ “. I tried looking online on how to install Scipy into virtual environment of RPI but whenever i run “pip install scipy”, RPI will hang. Do you have any idea on how to install Scipy in virtual environment? Let your Pi sit overnight, the compile will take a few hours. What a great project, Warner! Be sure to let us know how it goes. 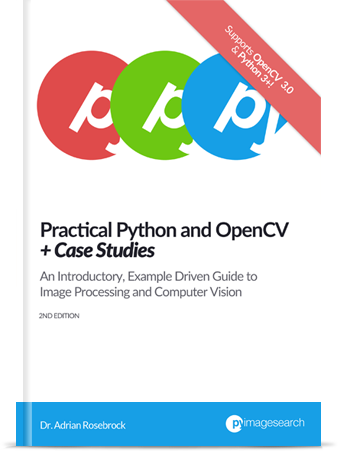 What version of OpenCV and Python are you using? The algorithm does not recognize the ‘1’ and ‘7’ digits, the algorithm ignores them. Any susgestión of how I can solve? Adrian, I’ve just come across this article of yours even though I’ve been following you for months. Great work! Just a small question, will this work with 4 or 5 digits? I tried loading other images, it didn’t exactly work out. Please tell me what to do for 4,5,6,7,8 or even 9 digit detection. Four or five total digits? Yes, it will work but you might need to tune the thresholding parameters to each each digit is nicely segmented. Hi! Enjoy your articles a lot. Is there any tutorial aiming at non-7-segment digits display? 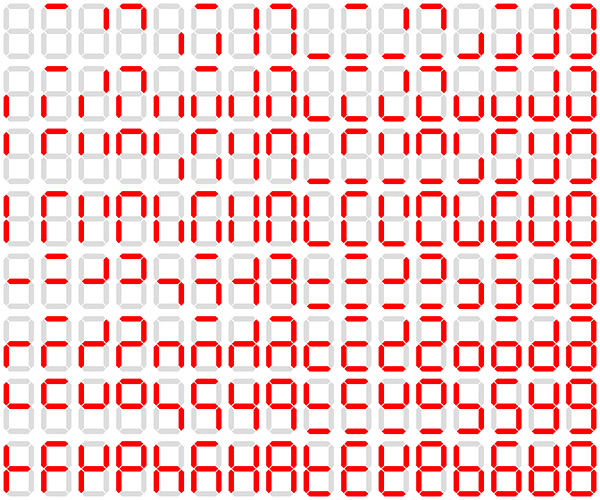 I am currently working on printed digits recognition and neither of handwritten or 7-segment seems to work. Have you tried this tutorial on OCR? I’ve just come across this article when I was searching for a tool to read-out LCD displays from a movie (or sequential images). However in my case, I have 2 LCD screens in my image frame. How would you tackle that problem? You would find the contours of the screens and loop over each of them versus just trying to find the largest screen. so how can we make a preprocessing step that generalize all images ? You would want to preprocess/clean the images as best as you could and then apply OpenCV OCR to it. I cover the basics of handwriting recognition inside Practical Python and OpenCV. I would suggest starting there. I did’t have the complete edge map as you did, that is ,lines of my preprocessed edge map were not continuous,so I can’t detect the four vertices as lcd. Were you using the example images in this post or your own custom images? It turned to be a few discontinuous lines rather than what you showed in the post. But it can still find the vertices and plot the lcd. I was just curious why it happened like this.